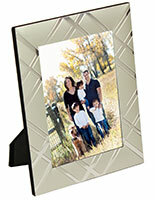 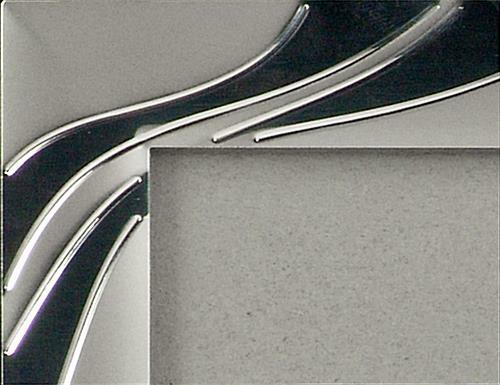 These double photo holders feature a silver finish with lustrous accents. 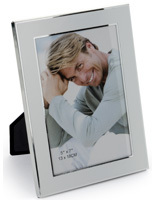 The stylish stands with a hinged frame make great gifts for anniversaries, baby showers, weddings and other special events. 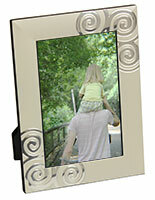 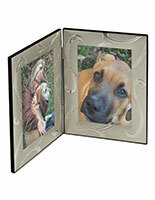 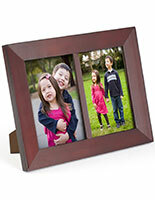 The photo holders also offer a protective glass cover for safeguarding their contents from moisture and dust. 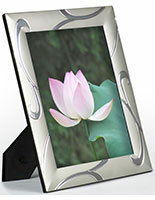 The stylish silver displays use their hinged frame to stand without the need of an easel backer, and only requrie a flat surface. 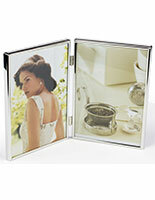 The metal and glass holders feature retainer clips that makes inserting prints quick and easy. 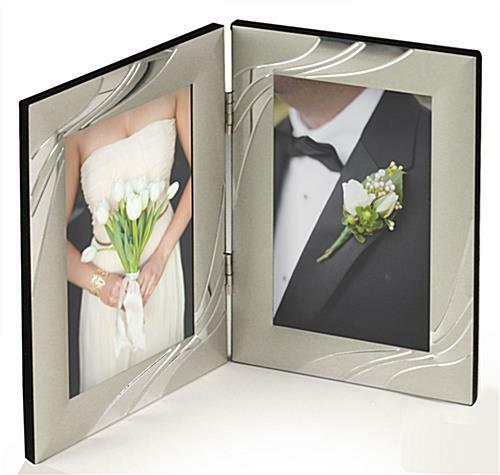 The wedding displays showcase standard 4" x 6" pictures with an attractive appearance.